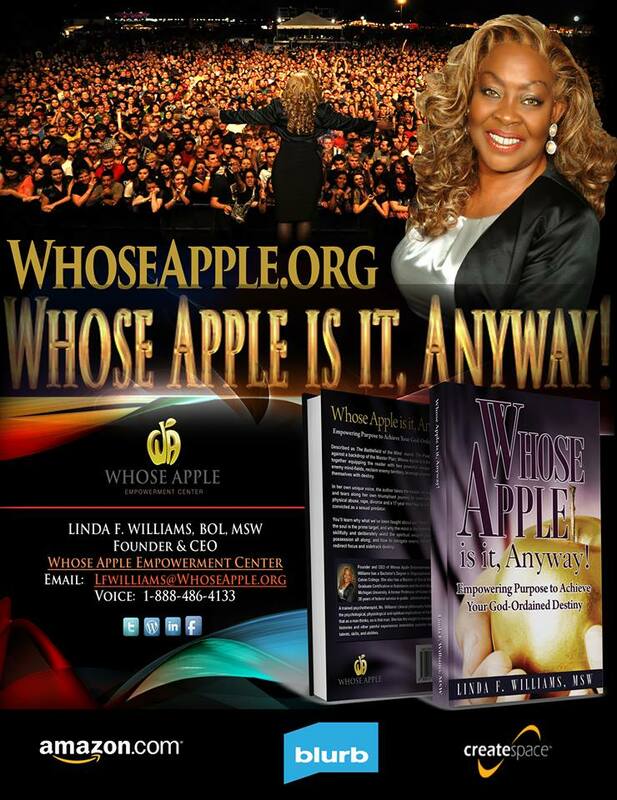 Founder and CEO of Whose Apple Empowerment Center, Linda F. Williams has a Bachelor’s in Organizational Leadership from Calvin College; a Masters of Social Work (Clinical/Macro) from Western Michigan University; and Graduate Certification in Substance and Alcohol Abuse. She is a doctoral candidate at The Harold Abel School of Social and Behavioral Sciences at Capella University. She is also a former Professor of Human Services at the University of Phoenix. She has 35 years in civilian government service, seven years as a labor leader, and expertise as a national negotiator. Experienced in Interest-based Bargaining (IBB), Ms. Williams has negotiated several national collective bargaining agreements. A dynamic Change Agent, she negotiated the largest reorganization in her agency’s history. 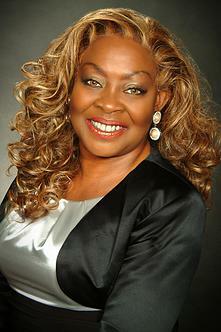 She is an expert in organizational culture, labor relations, leadership development, and win-win negotiation strategy. Prior to scholarly research as a doctoral candidate in Criminal Justice, Ms. Williams’ undergraduate thesis lead to a partnership between Hope Network and Prison Fellowship in implementing the program closely modeled after her thesis. She subsequently focused on exoffender reintegration with an emphasis on the special needs of female offenders. Her current studies will develop a progressive purpose-based curriculum for female offenders reentering society after engagement with the prison system. Ms. Williams’ clinical philosophy holistically combines psychological, physiological, and spiritual implications of the Proverb that says that as a man thinks, so is that man. She has the insight to recognize how traumatic histories and other painful experiences lead to self-defeating behaviors that can mutate our God-given character traits; and immobilize purpose by locking down our talents, skills, and abilities. Born in East Chicago Heights, Illinois, Ms. Williams was reared in rural Hart, Michigan. After beginning college at Eastern Michigan University, see returned to her roots in Chicago where she began her federal career with the Department of Housing and Urban Development (HUD) eventually transferring to the United States Department of Agriculture (USDA). It was during this time that she became a protégé of Grammy Winning Songwriter and Arranger, Eugene Record; Ms. Williams had three song releases by the Chilites: You Take the Cake, Do What You Want, and Hard Act to Follow, all co-written with Mr. Record, who had international hits with Oh Girl, Have You Seen Her, Soulful Strut, and For God’s Sake We’ve Got to Get More Power to the People.